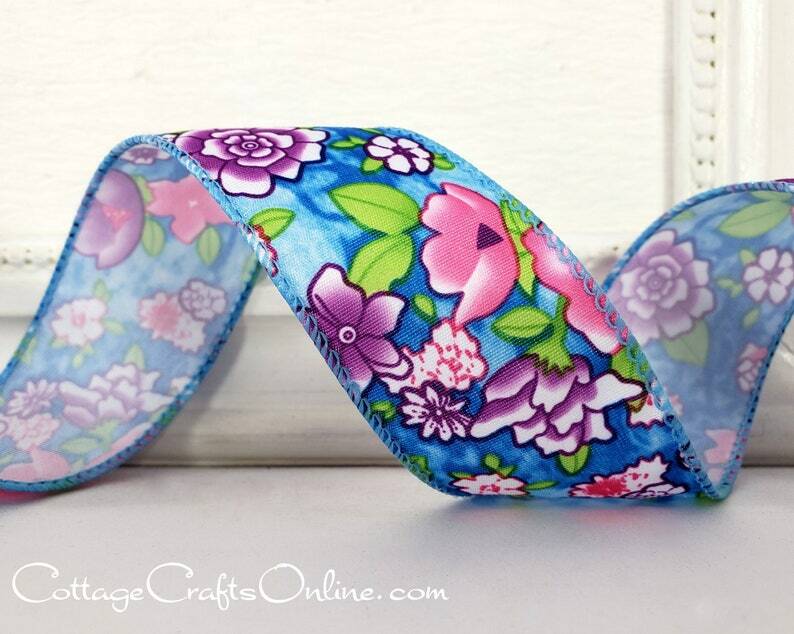 Pink and purple flowers on a blue backgound, 1 1/2" wide, with a wired edge by Offray Lion Ribbon. PLEASE NOTE: As a fabric ribbon, each roll is cut from a wider fabric and the portion of the design visible may vary from the photo. This listing is for three yards. If you purchase more than one, your order is cut as one length. Great design, beautiful colors, exactly what I needed, and lightening fast service too! A great place to buy ribbons!